Below you can view all the homes for sale in the Sibley On Paper Mill subdivision located in Marietta Georgia. 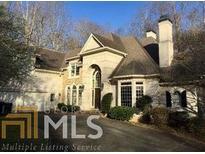 Listings in Sibley On Paper Mill are updated daily from data we receive from the Atlanta multiple listing service. To learn more about any of these homes or to receive custom notifications when a new property is listed for sale in Sibley On Paper Mill, give us a call at 404-998-4102. Stunning, Impeccably Maintained Home W/Open Floor Plan & Backyd Paradise*Filled With Top Of The Line Upgrades Thruout*Sunfilled rooms With High C’Lings*Beautiful Living Room With Fireplace & Coffered C’Ling*Banquet Sized Dr W/Butler’S Pantry*Striking Keeping Room Opens To Renovated Chef’S Kitchen Including Thermador Gas Cooktop*Luxury Mbr On Main W/Renovated Bath W/Freestanding Tub*Fab Lower Level Highlights:Library, Game Room, Media Room W/Wine Cellar, Rec Room,Full Bath*Walkout To An Outdoor Oasis Featuring Heated Salt Water Pool, Waterfall, Spa, Pavilion With Fireplace, Pool House, Play Area, Gorgeous Landscaping MLS#6523535. Harry Norman Realtors. 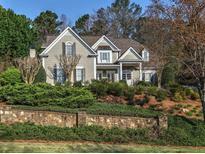 Wonderful East Cobb Subdivision, Walk To Sope Creek Elementary School. House Needs Updating. MLS#8537516. Palmerhouse Properties & Assoc. Encompassed By Six Spacious Bedrooms, This 3 Level Estate Also Boasts Finished Walkout Basement W/ Guest Suite, 3 Car Garage & A Hard-To-Beat Location Near Shopping & Award Winning Schools. MLS#6502524. Keller Williams Rlty, First Atlanta. Don'T Miss Your Chance To See This Special Home. MLS#8229456. Re/Max Professionals. Don'T Miss Your Chance To See This Special Home. MLS#5877865. Re/Max Professionals.